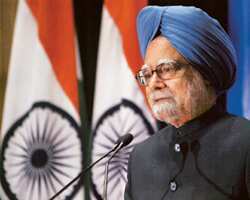 New Delhi: India will sign a bilateral social security agreement with France during Prime Minister Manmohan Singh’s visit to the European nation on Tuesday. “The agreement with France, initiated last year, covers around 285,000 Indians," said Vayalar Ravi, minister of overseas Indian affairs. “We want to protect the interests of Indian professionals working in Europe. It (the proposed pact with France) is a big step in this direction," he said. “Social security agreements we are negotiating will also help in exportability of benefits during relocation (of professionals) to India or any other country after having made social security contribution during a longer-term employment," he added. “Such agreements would also make Indian companies more competitive since exemption from social security contribution for their employees substantially cuts costs." India is looking at entering into such pacts with several countries that have a sizeable presence of Indians in knowledge and high-end technology industries. The government has signed such an agreement with Belgium. It has already concluded talks with Germany, the Netherlands, Czech Republic and Hungary. “We are in negotiations with Sweden, Norway and Switzerland and have also proposed such agreements with Australia, Portugal and Spain," Gurucharan added. “There have been two rounds of informal discussions with the US too," an official said on condition of anonymity. “The apprehensions the US had over our social security schemes are disappearing... we are expecting some positive developments on that front." India and France are also poised to ink a landmark civil nuclear deal, similar to the one with the US, during Prime Minister Manmohan Singh’s visit to France. This would be the first such agreement to be initialled by any country with New Delhi signalling an end to its 34-year-old nuclear apartheid. Though Indian officials said that the Indo-French nuclear cooperation agreement is expected to be signed soon, France gave a clear indication that it will be inked during Singh’s visit to Paris on Tuesday for talks with French President Nicolas Sarkozy. Earlier on Monday, Singh and Sarkozy, whose country holds the EU presidency, agreed to conclude a broad-based India-EU trade and investment agreement by next year and double their trade turnover to €100 billion (Rs67.8 trillion) in the next five years. The decision was taken during the ninth India-European Union summit at Marseille in France.